Saag Paneer is one of my favorite Indian side dishes. 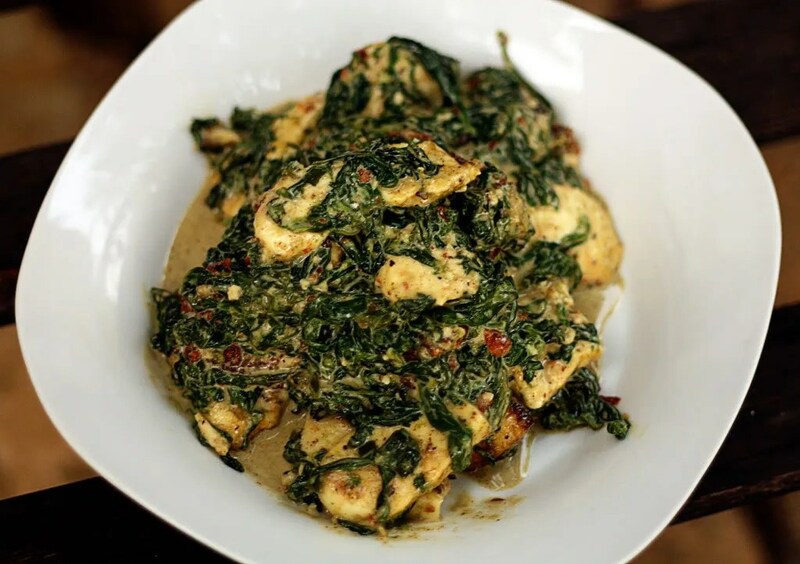 It’s a spinach based curry, similar to creamed spinach, but with a powerful punch of Indian spices. It also includes chunks of lightly browned paneer cheese, which is a fresh curd cheese that is firm like tofu. Many vegetarians enjoy this dish, but it’s equally good served as a side dish to an Indian meal. Try some of my other Indian dishes! Chicken Tikka Masala, Pork Vindaloo, Coconut Ginger Jasmine Rice, and Garlic Naan. In a large nonstick skillet, heat ghee or butter over medium heat. Add cheese and lightly brown on both sides , about 5 minutes; transfer with a spatula to a plate and set aside. In a food processor or blender, place ¼ cup water, ginger, garlic, and Serrano pepper. Puree until a smooth paste forms. Heat skillet over medium heat and add ghee. Add paste and cook, stirring constantly for about 30 seconds. Add spinach and season with salt to taste. 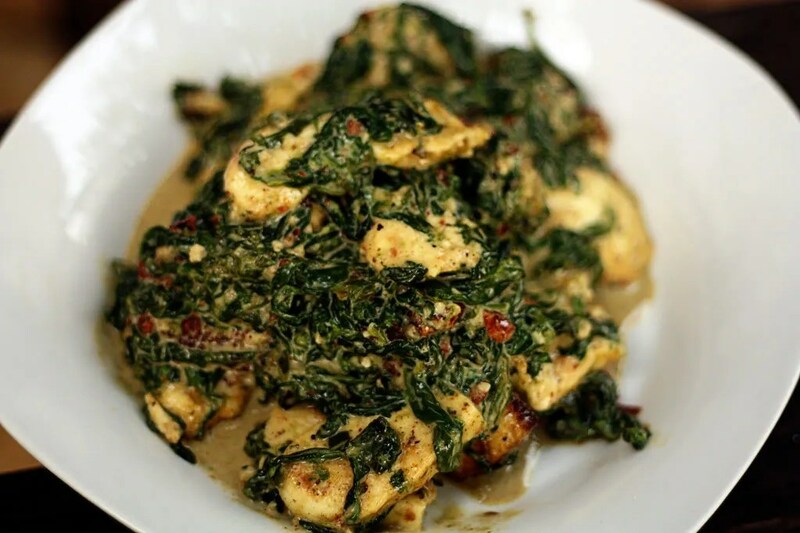 Cook, stirring often, until spinach is thoroughly wilted and soft. Stir in garam masala, red pepper flakes, and cream. Add fried cheese to the spinach mixture, cover, and continue cooking until cream thickens, about 15 minutes. Serve warm. Custom Cutting Boards: Cole’s Blocks Co.